A Programmable Logic Controller, also known as PLC is a system that has inputs and outputs used in controlling automated processes like industrial automation. PLC programming is usually done in ladder logic, and most PLC platforms are programmed in different languages for a more sophisticated approach. PLC programming is a ladder logic or ladder diagram. Ladder logic is created using electrical symbols like those that are used for coils and contacts while in the ladder diagram, it looks like an electrical autocad drawing that is familiar for electricians to work on. Who Can Do PLC Programming? Reputable engineers and programmers can only do PLC programming because of their extensive experience in the business. As a leading machinery automation and robotics company we have a vast knowledge about PLC that is why they are skilled and swift troubleshooters. Most of these professionals offer comprehensive PLC programming services. Their professional background tackles complex projects and even has records that they have assisted high profiled clients by setting up and programming their PLC systems at work. Most customers or agencies of these PLC companies require new system upgrades or installation and complete industrial retrofits. The companies that offer PLC programming services have the essential resources to help both individual and commercial clients. They also provide services that range from the basic PLC program modification up until a full-line program control and integration. The common PLC programming services offered by these firms are an on-site evaluation, control panel fabrication, software support, project design and documentation, workshop manufacture or assembly, and process simulation. What are the PLC Programming Requirements? PLC programming requires certain knowledge and skills. Understanding its process is complicated that is why only programmers and engineers can do the job. PLC programming is just a part of the entire task of automating a machine. 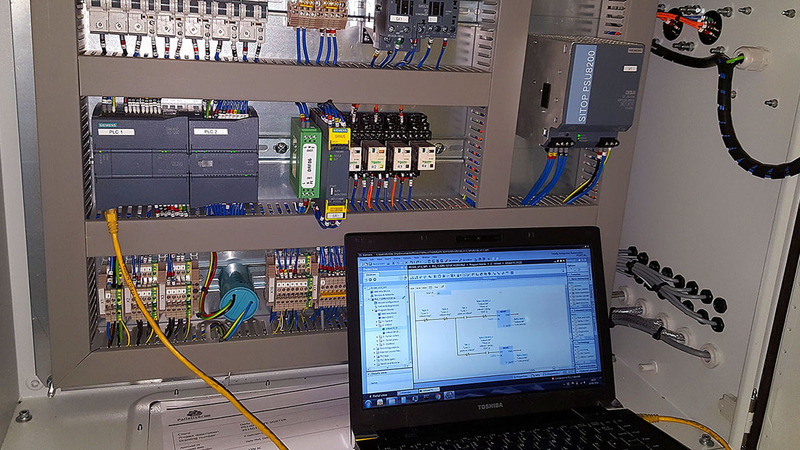 A professional has to create an automation design and specify which components supply PLC together with the inputs and outputs it will control. There are so many advantages of PLC programming that is why it has extreme importance to industrial applications. This activity notifies the users of monitored environmental conditions and the execution status. It also reduces costs and errors together with its quick response. PLC programming even withstands harsh environments and controls just like automatic machinery. And also, it turns outputs on and off but this depends on the internal program and conditions. PLC programming is becoming more needed in the business world. For people who would want to learn about this kind of programming, there are a lot of options to choose from. Some companies offer training courses that you can take at home. You can train online, and the best thing about some of these courses is they are free. You just have to be patient because learning PLC programming is very challenging. If you are one of those business people who need a PLC expert, make sure to choose the best company. There are lists available on the web with the most reputable programming companies that offer quality services, and some of their websites even have testimonials from clients so you can see how that company works. Upgrade your equipment with the latest PLC software and controls with the help of your chosen programmer.